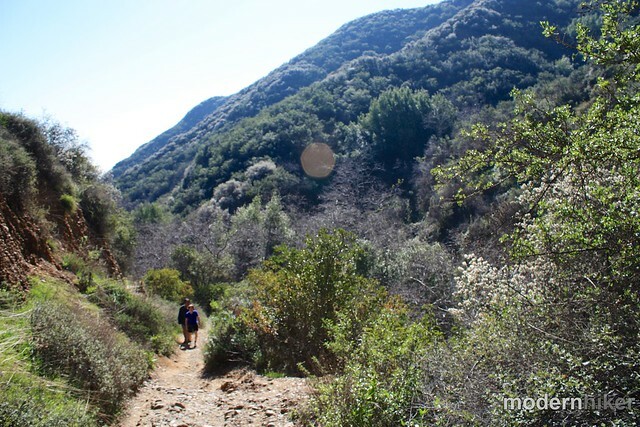 A moderately challenging 4.6 mile loop trail in the Pacific Palisades. 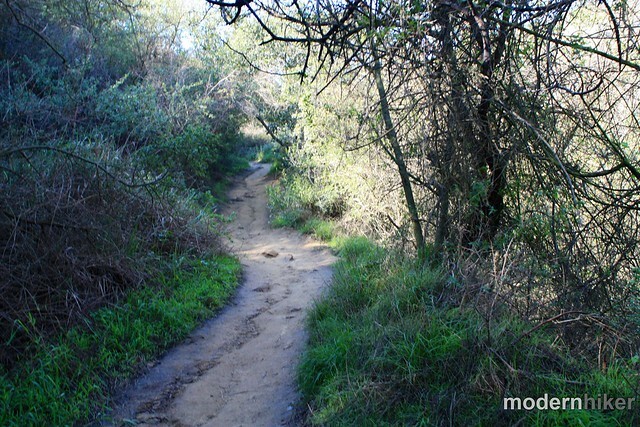 This route takes you on the popular Temescal Canyon Trail to Temescal Falls (really just a small cascade, most often only a trickle). 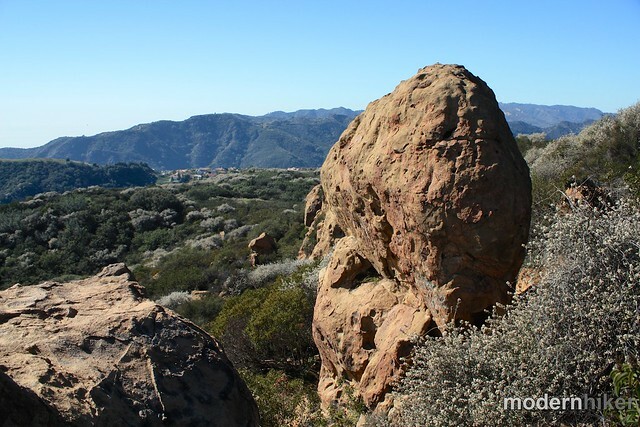 From there, the hike makes a strong but shaded ascent up to the ridge and to Skull Rock, a cool little rock formation with some excellent views of the Pacific Coast and inland (on clear days). This is a great, slightly-more-than-casual workout hike with lots of great options to extend your trip to a full-day hike, too! 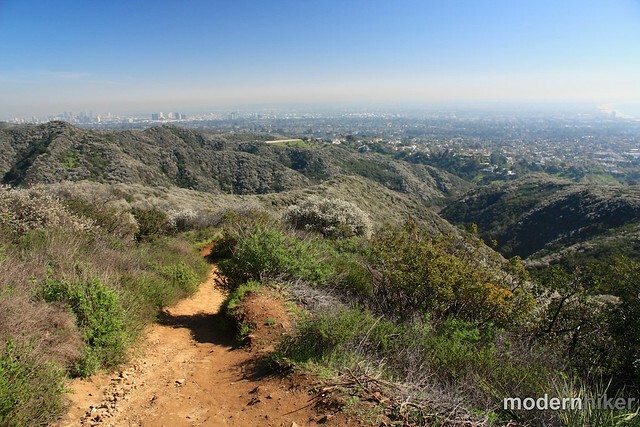 The Santa Monica Mountains are not lacking in trails with beautiful ocean views, but Temescal Canyon is definitely one of the more popular ones. 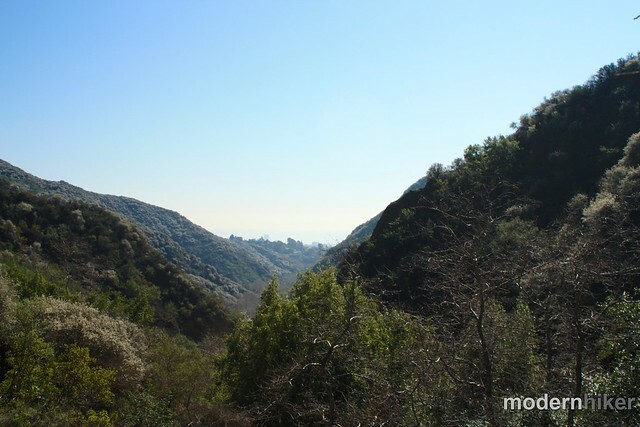 Maybe it’s the easy parking, or the fact that you can really do whatever kind of hike you’d like here – a quick loop, a trail-run up to the ridge, or a full-day trek deep into the mountain ranges – but Temescal is definitely an L.A. hike worth knowing about. 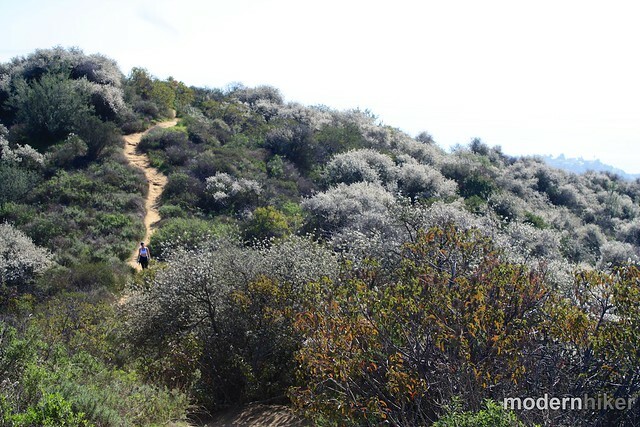 A word of warning, though – because this trail is so popular and because you can do some very easy routes here … and because it’s also located so close to some excessively wealthy areas of Los Angeles – don’t be surprised if you see people in yoga pants and expensive tops strolling in the woods with Starbucks cups while talking on their phones. I honestly think I may have passed three or four people in the lower stretches of the Canyon who were wearing perfume or cologne. Another hiker I passed was playing her workout music from speakers (what is WITH that?). If that sort of stuff bothers you, then I’d suggest heading to a trail further in the mountains, or just hiking quickly through the lower Canyon – those types thin out quite a bit once you start approaching the ridge. This un-mapped (on official park maps) trail is the Sunset Trail. It just skirts the west side of the park’s other parking areas and access road, saving you a little bit of pavement-pounding and getting you right into the woods. Head down the short descent and hop across the small bridge, enjoying the shade and fragrant blooms along the way. This section of trail doesn’t have any signs on it, and there are a LOT of little spur routes heading to the stream and to the parking areas. If you’re heading north into the park, just keep staying to the left at the junctions and you’ll make it, although all the trails will get you to the Canyon entrance one way or another. 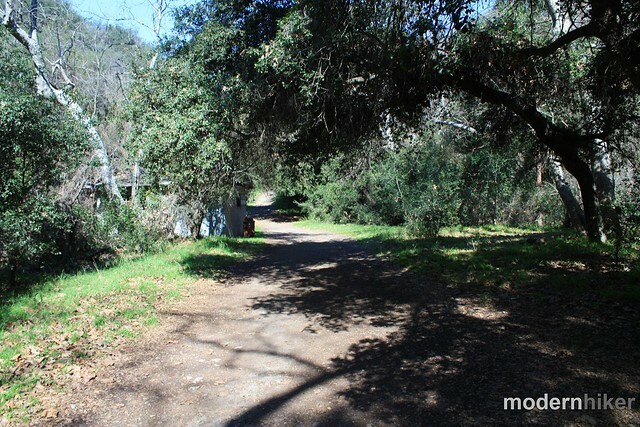 It’s about 0.4 miles to the main Temescal trail junction. When you get there, you’ll see a lot of signs. 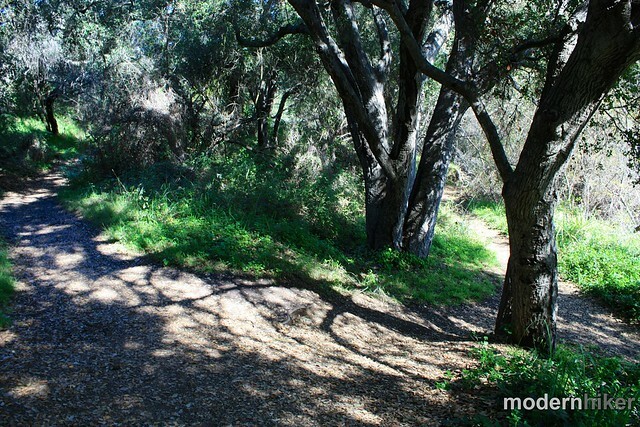 The Temescal Canyon Trail is to your right, while the Temescal Ridge Trail enters Topanga State Park and makes an ascent to your left. 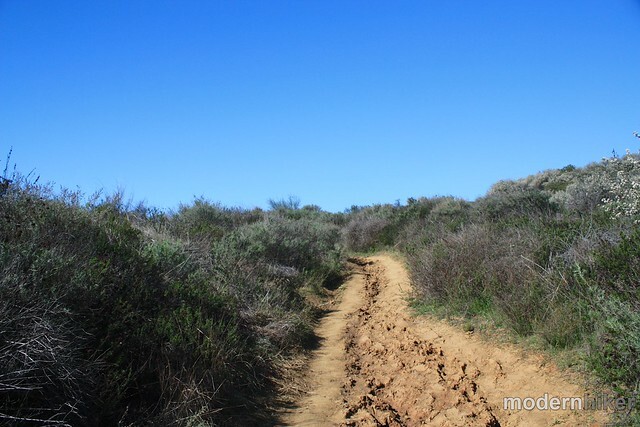 The Temescal Canyon Trail stays relatively flat for a little while before making a steep but shaded ascent to the Ridge, while the Ridge Trail makes a more gradual ascent but spends more time in the direct sun. Feel free to take whichever direction strikes your fancy, but on my trek I went to the right and headed further into Temescal Canyon. This clear, well-maintained trail stays relatively flat for the next 0.3 miles as it skirts another large debris dam and some camp buildings. When you come to a small stretch of pavement near an old cement structure, just cross the road and continue in the same direction. The trail’s a bit faint, but it’s still there. 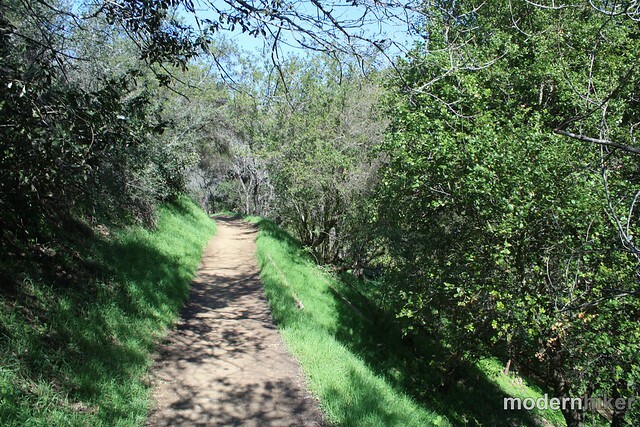 At the 0.7 mile mark, you’ll hit the edge of Temescal Gateway Park and the southern boundary of Topanga State Park. 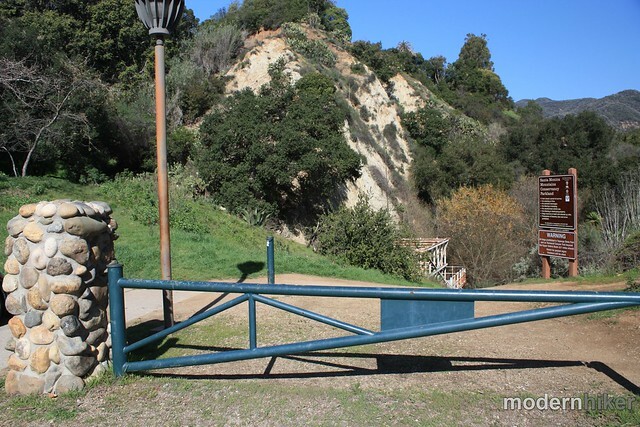 If you’re hiking with a dog, you’ll have to turn around here (Topanga is notorious for ticketing dog-owners). Otherwise, continue into the Canyon, where the trail becomes significantly more rugged. You’ll spend the next 0.8 miles dodging trail boulders and finally starting to climb a bit. You’ll be surrounded by green but don’t forget to take a moment every now and then to turn back for some great views down the canyon. 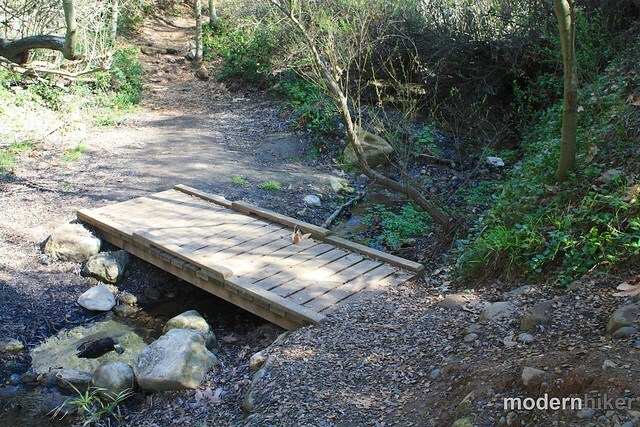 At the 1.5 mile mark, you’ll hit Temescal “Falls.” Do not think this is an actual waterfall, because it’s not. It’s just a small cascade next to some lovely shaded areas with a nice bridge crossing it. Maybe during the rain it looks like an actual waterfall, but I’d have to see it to believe it. Instead, just enjoy the area for what it is – and maybe take a few minutes to have some fun scrambling along the boulders. When you’ve had your fill, cross the bridge and continue on the Temescal Canyon Trail as it makes a steady climb up to the ridge. The incline is slightly steeper here than it is on the other route, but it’s still manageable. And the good news is, most of this route is very well shaded, so if you’re doing the hike on a sunny day you won’t sweat out half your body weight along the way! Unfortunately, because the trail is so shaded, there really isn’t much to look at while you’re making this climb up. 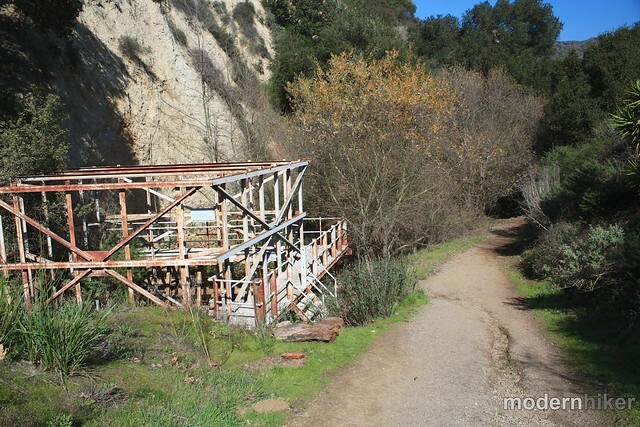 It’s only 0.4 miles until the trail reaches its junction with the Temescal Ridge Trail. Here, ignore the junction to your left and keep heading straight to join the Ridge Trail. This trail continues the climb upward but at a much easier incline. 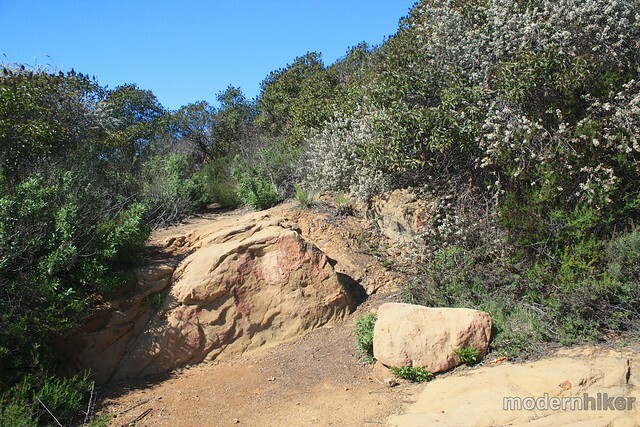 It will loop over Temescal Canyon once (with a really nice view of your entrance route) before hitting the main ridge and following that north. As you hike in this direction, you’ll also get your first views of Skull Rock. 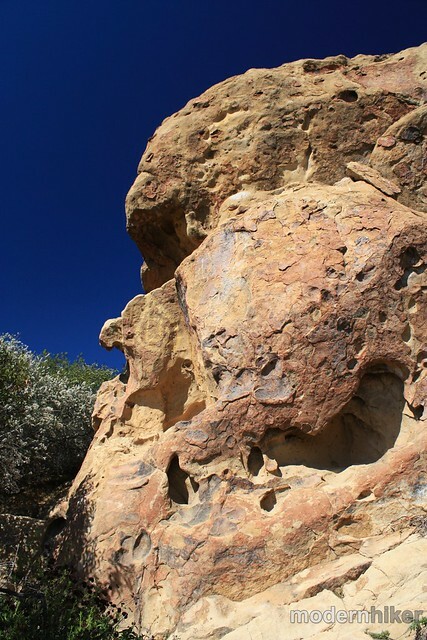 It’s 0.8 miles from the trail junction to Skull Rock – it’s pretty easy to spot from the trail. There will be a short but very apparent use-trail you can use to scramble through a bit of chaparral to the rock itself, and once you get there you can climb on, over, underneath, or even next to the rock if you want – the view from the top (or from nearby, smaller rock structures) is pretty amazing. When you’re done soaking in the views and scrambling, backtrack to the Temescal Ridge Trail junction (at about the 2.8 mile mark), then keep to the right to stay on the Ridge Trail. You’ll pass the junction with the Bienveneda Trail just a few yards further – ignore that one and stay on the Ridge Trail as it starts its descent. If you get confused, don’t worry – the trail signs will tell you which route takes you back to Sunset Blvd. The trail starts out in the sun with some really nice views of the coast and toward the city, but there are sporadic sections of shade along the way. It’s 1.4 miles back down to the junction with the Sunset Trail. Ignore all the side-trails (and the fancy houses that are really too big for anyone to need) and return back to the trailhead the way you came in. And if you parked in the parking lot – WATCH OUT FOR THAT STOP SIGN CAMERA! Excellent. Trails are in great shape (although they can get quite muddy for a while after a rain) and junctions are well-marked and signed, most of the time with distances included. The trailhead and parking are at the intersection of Sunset Blvd. and Temescal Canyon Road in the Pacific Palisades neighborhood of Los Angeles. You may park inside the park gates (parking fee is $7 at time of writing) or you can park for free on the street on either Sunset or Temescal Canyon Road. If you do choose to park inside the gate, beware of the stop-sign camera inside the park. It's notoriously trigger-happy. Transit accessible. 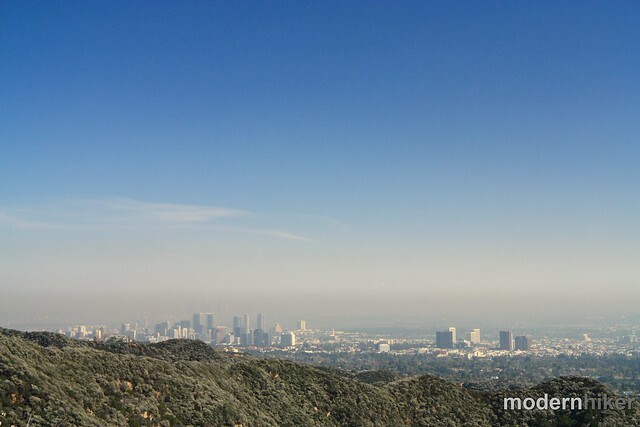 Living in LA, I have always liked this "close to home" hike. Hiked it today as a matter of fact. I enjoy seeing the ocean from several vistas, the moments when the trail is through woods, and tracking the vegetation seasonal shifts. Trails are in fairly good shape, but I do watch my footing in some areas. Over the years it has become pretty crowded with trail runners, and people playing music or having loud conversations (often featuring how they are being wronged by some situation in life). Because I like a quiet hike, I try to get on the trail very early (6:30 or 7:00 am) to avoid this. I have had success parking outside the park along the road. I just finished hiking to Skull Rock today (03/25/17), the parking adjacent to the trail heads is NOW $10.00, not cash only and will take a debit/credit card. Another tip to share, be sure you know where you're going on the trails, not everyone hiking the trails are familiar with the area. Safety in numbers! All times and distances are round trip unless otherwise noted. 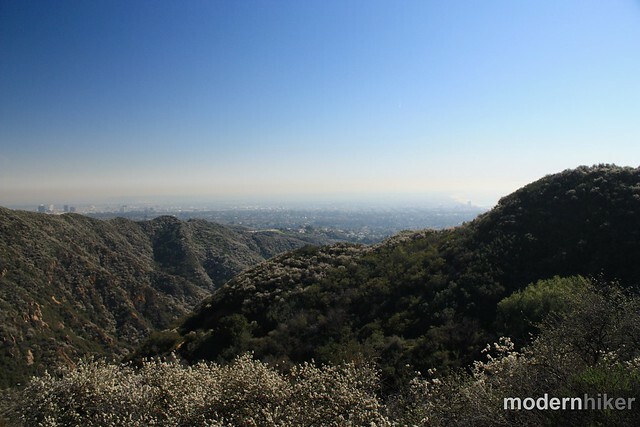 Have a great hike - you'll have some beautiful views with the recently-cleared skies! Is it 2.5 hours total or each way? Hoping to go tomorrow depending on the weather. Just did this trail as directed. I came down the Ridge Trail, and I would say that the beginning of it is indeed a fairly steep ascent. It does level out and become more gradual with some ups and downs along the way to be less demanding, but the beginning is steep. I know this because my knees coming down said so. 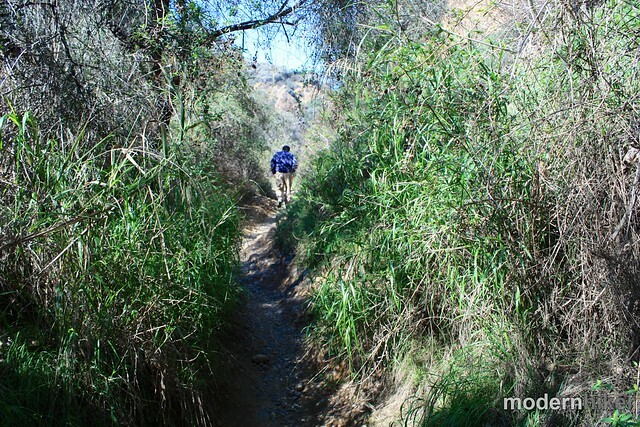 The Canyon Trail is also steep but it starts out gradual and then kicks into gear. And when I say steep, I mean I had to stop and breathe a couple of times. :-). It is beautiful at the top. I will definitely be going back. If you're looking for coastal sunset views, there are lots of options. 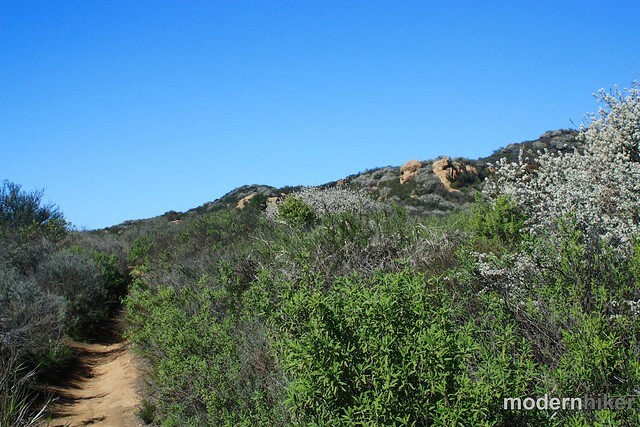 The Los Liones Trail is right nearby and also has great coastal views, or you can head a bit further into the Santa Monica Mountains and explore from there. Corral Canyon and Charmlee are also quick routes with beautiful ocean views. I am in town visiting and staying in Pasadena. I would like to get a good hike in and then catch the sunset. I won't be able to get to Malibu until a little after 1. I was looking at Skull Rock but was wondering if you had a suggestions for a decent hike that could be followed by a good view of the sunset. Your blogs have been very helpful! Thank you!! Interesting. It seems people have had some success with that strategy so far. Thanks for the heads up. It's NOT and "real" stop sign camera. It is on private property and the ticket you get look official but that can't force you to pay. The Santa Monic Land Convervancy is NOT a city government. Read the ticket carefully.